This one shows the ‘Independent Movie Theatre’ program is set on ‘06.05 (Sun)’ at 00:10 KST. But the below shows the ‘Independent Movie Theatre’ program is set on ‘06.04 (Sun)’ between 00:10~01:30 KST. Important: Please note that JYJ3 is in no way related with any online store, including the ones mentioned above. Be selective when choosing which store you are buying the album from. Please also be advised that JYJ3 is not responsible for any group purchase advertised in the comments section. [Seoul Culture] Already having been invited to the 11th Jecheon International Music & Film Festival section ‘Today of Korean Music Film’, movie <The Miracle Piano> had recorded a sellout of its seats at the same time with its online reservations open. It is a work that contains the miracle story where we enter with visually-impaired Yoo Ye-eunnie and her family members; for the dream of a young girl who is called a genius pianist star but is yet afraid of the piano and the world. World star and actor Park Yuchun had been gaining the public interest for participating in its narration with the contribution of his talent, and is drawing attention of its audience for having imbued the movie’s liveliness with his unembellished, natural voice all the while instilling deep emotions with his comforting baritone voice. 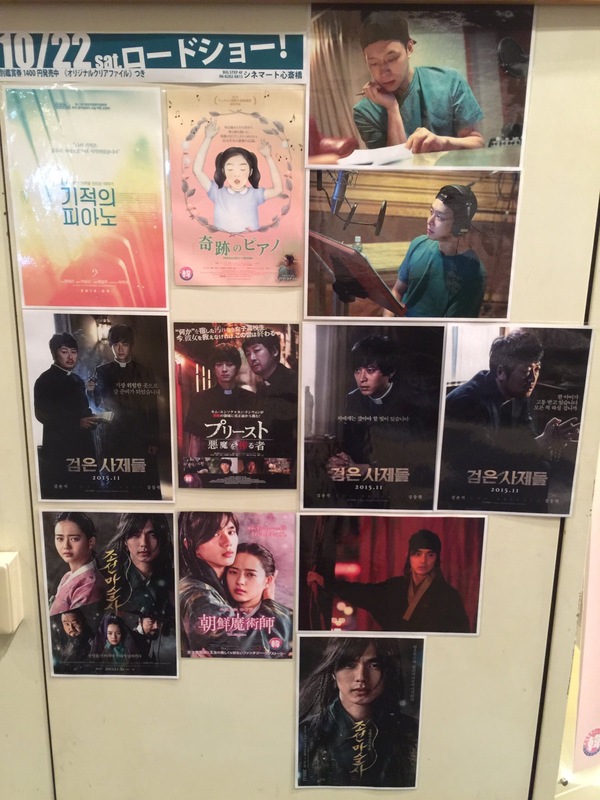 Movie <The Miracle Piano> was completed as a solid drama with a filming period for 3 long years –a filming done in secret for every part and over 2 years of post-production time–. Ye-eunnie’s most beautiful piano melody will capture audiences’ hearts when it resonates sweetly in cinemas September this year. 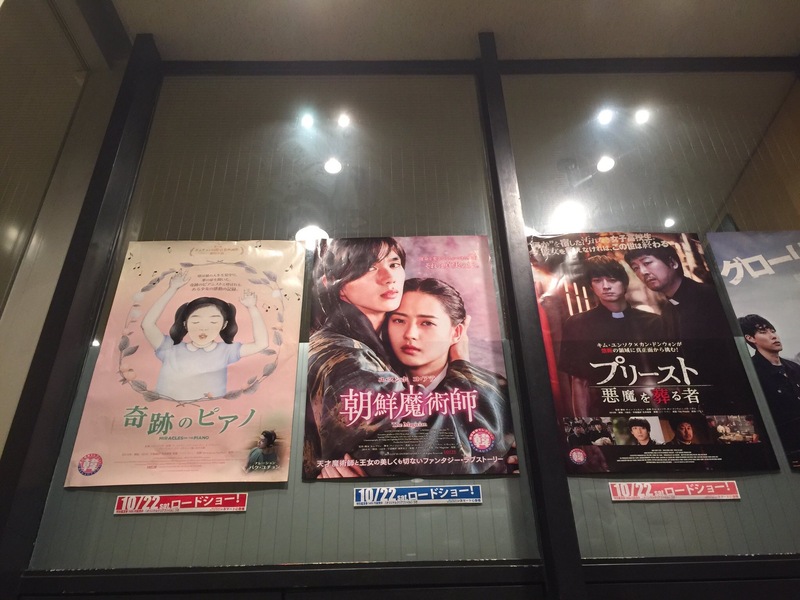 The movie was released on September 3, rated G for the general audience, and its running time is 80 minutes. 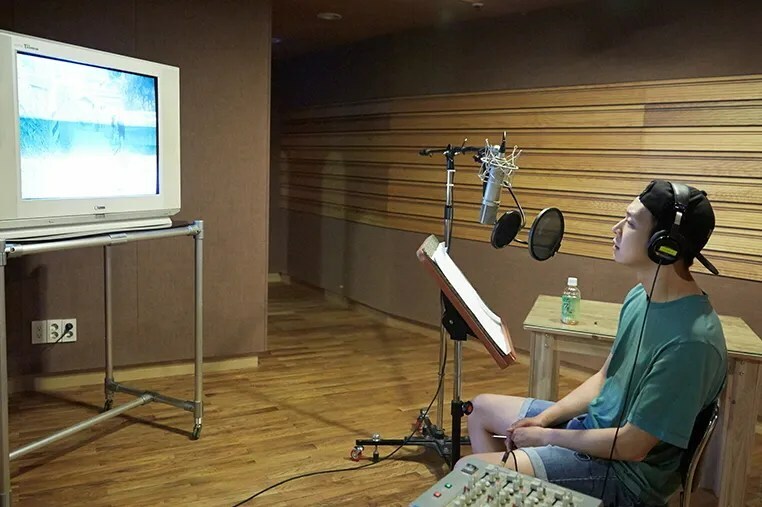 An official for the recording studio said, “Originally we were expecting it to take about 30 minutes but there was a lot of NGs in the process of Park Yuchun-ssi adjusting his tone and controlling his emotions welling up. My work took over 4 hours,” and, “He is a Hallyu star who overwhelms the atmosphere onstage, but he is an immensely modest and pure young man when recording”. Park Yuchun saw Yoo Ye-eun, who became a middle-school student while it was post-production, on the screen; and felt swept up in his emotions for a while. He was surprised, saying, “Yoo Ye-eun has grown up big like that already?” and when there is an image where she contests to participate in a competition and lose her eyesight, he was moved to suppressed tears watching with a bright, open-minded, innocent expression more than anyone else. It is said that JYJ fans sold out the movie theater early and the 11th Jecheon International Music & Film Festival officials ascertained whether it was an electronic error or not at the time. The film ‘The Miracle Piano’ will be opening on September 4. It doesn’t appear with our eyes, but can’t beautiful music be heard with our heart? 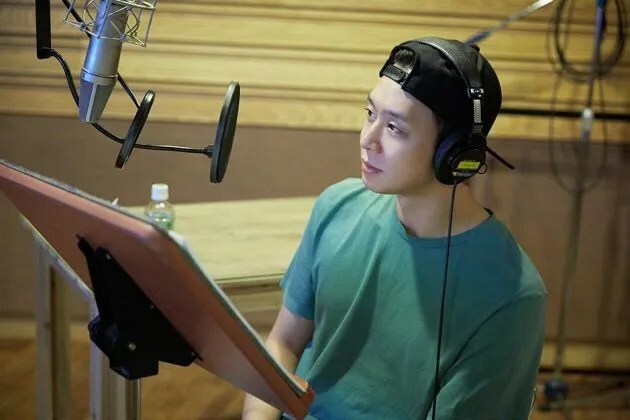 Singer and actor Park Yuchun set out to volunteer his narration talent. 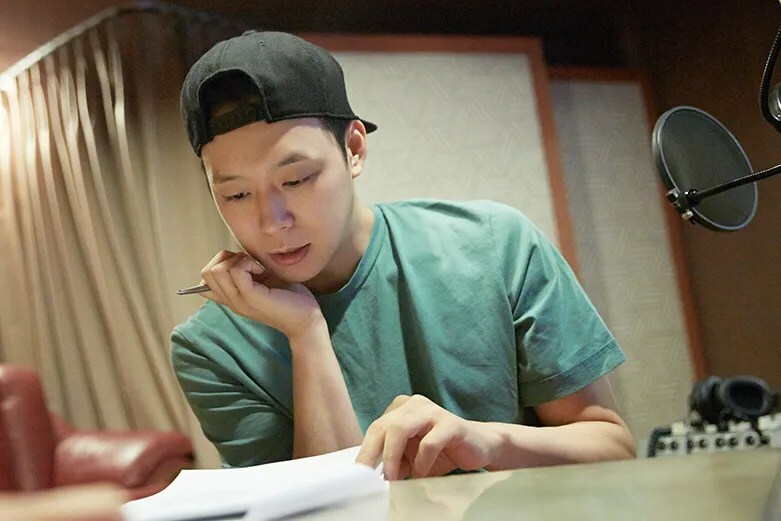 On August 11, the film ‘The Miracle Piano”s distributor Lotte Entertainment revealed the narration scene where Park Yuchun conducted volunteering his talent. Park Yuchun –who received Daejong’s Newcomer Award with the movie ‘Sea Fog’ in 2014 and raised himself as a movie actor– provided his natural voice with an unaffected image in these scenes. Wearing a baseball cap backwards comfortably, he smoothly conveyed the circumstances objectively in the film with his unique, baritone, appealing, deep voice; and doubled the degree of focus of the film. Also he recorded repeatedly checking his narration carefully to fit in the film; and showed affection toward the film by recording actively at the scene enough to engage in volunteering his talent, to heighten the perfection. 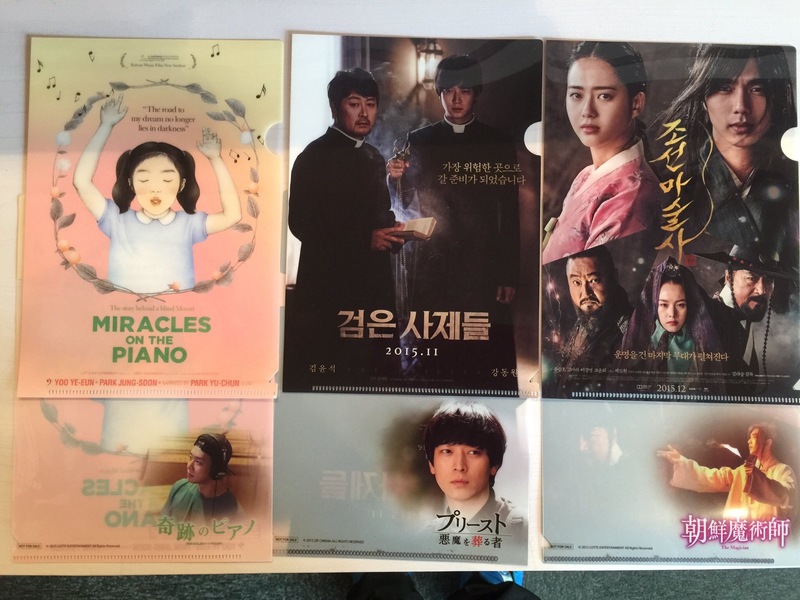 In this film, Park Yuchun’s narration covers the whole film enough to be called the 3rd main lead and there is the prospect of his voice capturing audiences’ hearts with a different point of ‘The Miracle Piano’ to watch for. The film ‘The Miracle Piano’ will have its opening in September.